Anyer Quantum is a Mexican DJ and producer from Guadalajara and one of the more visible figures in the psychedelic techno realm. 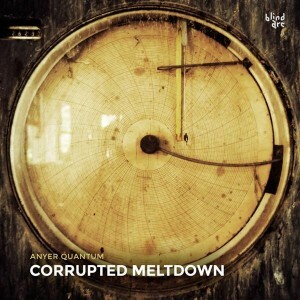 Corruption Meltdown, released by Portuguese label Blind Arc, marks his official debut, presenting a new universe of unconventional sounds, true to old school rave music with modern production values. Mastered by Flembaz at Tripalle Studios with artwork by Fred Sarmento and original photography by A. Synaptic. MP3 Download | FLAC Download | WAV Download · Download count: 7,108. Excellent sound, a beautiful rhythm and super cover photo ! Keep it comin , Anyer! Andale guey!!! It still sounds great in 2018! Intense tracks! still good in 2019! !